Welcome to the Inaugural Northern NJ Brain Tumor Walk and Gray Mud Run! 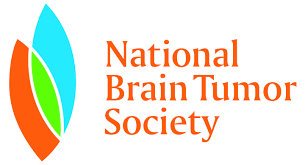 We thank you for supporting the National Brain Tumor Society’s efforts to find a cure for brain tumors and improve the quality of life and treatment options for those living with a Brain Tumor. This is the first event established in Northern New Jersey to serve the brain tumor community and we are so excited to be here! This event was inspired by the life and story of Lindsay Gray, who succumb to her brain tumor diagnosis, like too many before and after her. She was a beloved friend and daughter and fearless NJ State Trooper. We look forward to partnering with the NJ State Troopers to truly make a remarkable impact in the fight against brain tumors.